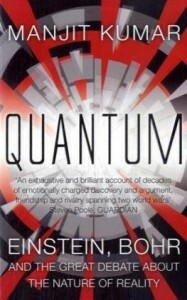 This is a fascinating book about the development of the Quantum Theory. This theory is so strange that one physicist said something like this - "If you are not appalled by Quantum Theory you haven't understood it". Einstein was appalled by it and tried to prove it was not correct. His main antagonist was Neils Bohr. The book lifts the lid off the the esoteric world of theoretical physics in an eminently readable way. OK, if you don't have a science degree some of the detail will go over your head, but the story is as much about the personalities involved as about the science. In any case it is good to force our brains to explore new frontiers. The Quantum world is weird and to a layman unbelievable. If this is what underpins reality then the mystery is far deeper than us mere mortals thought. I read it in the course of a few days.